Here you can see a lot of same Emoji's. But there is one Emoji which is different from the rest. If you can find it, please don't reveal it's position. Just comment "found it". 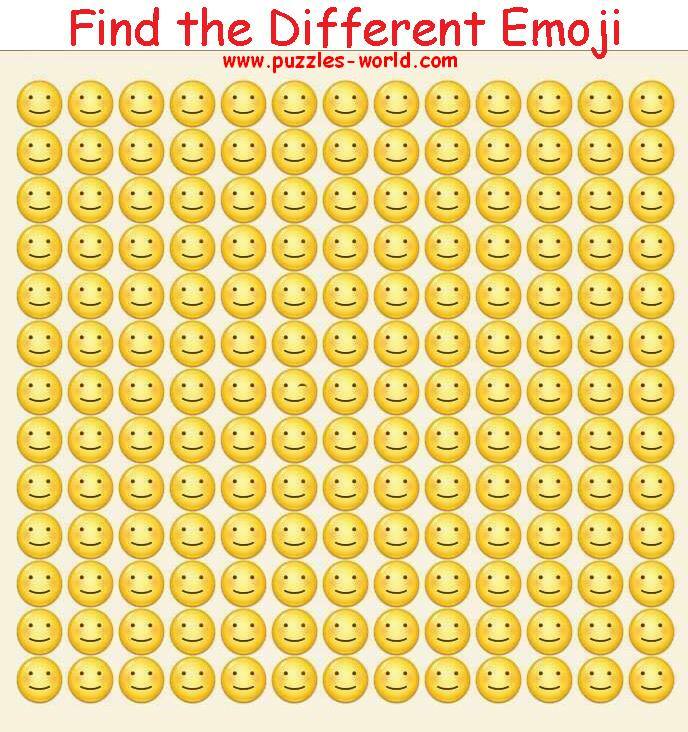 Share the image on social networks with your friends and family and see if they can find the different Emoji.